Dr Mansour Edraki is a geo-environmental scientist specialising in the field of inorganic geochemistry. He joined UQ in 2000 following completion of his PhD at University of New England. Prior to that, and before immigrating to Australia in mid 1990s, he was a lecturer in earth sciences. Since joining UQ, Dr Edraki has focused on developing innovative techniques for understanding and predicting geochemical processes which underpin sustainable management of mine waste and mine water, particularly acid and metalliferous drainage. Mansour’s research has direct applications for the resources and energy industries and the impact of his work is evident in a continuous flow of industry-funded projects in the last decade. 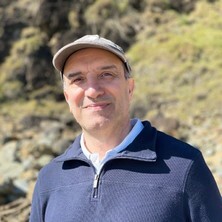 Dr Edraki has initiated research collaborations in many international locations including Indonesia (South Kalimantan and Freeport), Iran (Mehdiabad Zinc) Papua New Guinea (Ok Tedi), Philippines (USEP and Mindanao Development Authority), Korea (MIRECO and KIGAM), Peru (INGEMET), and Chile (Fundación Chile, Universidad de Concepción). He is currently coordinating the ‘Environment, Tailings and Water’ line of SMI’s International Centre of Excellence in Chile (SMI-ICE Chile). Dr Edraki represents SMI-UQ at International Network for Acid Prevention (INAP), which is a global alliance for managing the issue of acid and metalliferous drainage. Dr Mansour Edraki’s research interest is in understanding and predicting the source, transformations and fate of contaminants, particularly acid and metalliferous drainage (AMD), in the mining environment. Through field monitoring, laboratory experiments and modelling he follows the geochemical pathways of heavy metals, metalloids (e.g. arsenic) and salts and investigates the natural processes that may degrade the quality of surface and groundwater and natural soils. Mansour uses that knowledge to quantify the extent of the current and future effects of those processes for optimum remediation and rehabilitation outcomes. Specific areas of research include: Geochemical effects of clay minerals on deposition, dewatering and rehabilitation of tailings; Formation and stability of secondary minerals and amorphous phases and their role in natural attenuation of metals (and metalloids) and remediation of mine tailings and associated seepage; Novel techniques for characterisation and prediction of AMD including development of kinetic leaching procedures; Applications of stable isotope techniques in AMD investigations; A life cycle approach to managing mine tailings – Designer Tailings; and Unlocking the value of mining wastes and eliminating residual risks through reprocessing, recycling, reuse and remediation. In-situ dewatering of processed kimberlite slimes (Pulse Power). Acid mine drainage (AMD) is a major global environmental, health and safety issue. It forms when waste rock from mining operations is exposed to air and water, forming a highly acidic and toxic solution containing high concentrations of dissolved heavy metals and sulfate. Passivating pyrite rock involves altering the surface of the rock to prevent the (bio)geochemical processes which cause AMD to form. This type of prevention strategy forms a physical barrier on the rock preventing exposure to water, air and/or microorganisms. The project objective is to develop a novel chemical surface coating strategy to passivate pyrite. The candidate should have an interest in mine site remediation and geochemistry. The project will involve a literature review, laboratory work and data analysis. This project has both industry and academic involvement. The successful candidate will be based at the Sustainable Minerals Institute in the Centre of Mined Land Rehabilitation, on a joint project in collaboration with the company Kinetic Group Worldwide. There is the potential for ongoing employment opportunities with Kinetic Group Worldwide on the successful completion of this project. Acid mine drainage (AMD) is a common problem in the mining sector, which can potentially affect the environment. AMD is the outflow of acidic water from metal or coal mines, due to oxidation of sulfide-containing rocks in the presence of water and air. Spraying sealing materials to cover walls in open pit mines is a method to control AMD. The development and selection of the right material requires laboratory tests and field trials, with careful consideration of the various parameters that affect AMD generation. The project objective is to determine the long-term effectiveness of new types of cover sprayed onto potential acid forming pit wall exposures in preventing AMD. The project includes conducting a literature review, laboratory testing, potential field trials, and data analysis. The outcome of this project will have significant economic and environmental benefits. The successful candidate will work in a multidisciplinary team of researchers at the Centre of Mined Land Rehabilitation, Sustainable Minerals Institute. Pham, Phong, Edraki, Mansour, Noller, Barry and Golding, Sue (2018). A case study of domain-based post-closure water quality monitoring in wet-dry climates. In From start to finish: a life-of-mine perspective (pp. 217-222) Carlton South, VIC Australia: AusIMM: Australasian Institute of Mining and Metallurgy. Unger, C. J., Lechner, A. M., Glenn, V. C., Edraki, M. and Mulligan, D. R. (2018). Key elements of global leading practice in abandoned mine programs and their application to Australia. In From start to finish: a life-of-mine perspective (pp. 163-174) Carlton South, VIC, Australia: AusIMM. Unger, C. J., Lechner, A. M., Walton, A., Glenn, V. C., Edraki, M. and Mulligan, D. R. (2018). Maturity of jurisdictional abandoned mine programs in Australia based on web-accessible information. In From start to finish: a life-of-mine perspective (pp. 317-328) Carlton South, VIC, Australia: AusIMM. Palomino, Sheyla, Unger, Corinne and Edraki, Mansour (2015) Evaluating risks from abandoned mines in the Puno Region of Peru. The AusIMM Bulletin, 56-57. Kelm, U., Baumgartl, T., Edraki, M., Gutiérrez, L., Jerez, O., Morales, J. and Novoselov, A. (2019). Mineralogy of tailings: Challenges to usual routines of characterization. In: IMPC 2018 - 29th International Mineral Processing Congress. 29th International Mineral Processing Congress, IMPC 2018, Moscow, , (108-114). September 17, 2018-September 21, 2018. Tayebi-Khorami, Maedeh, Edraki, Mansour, Forbes, Liza, Manlapig, Emmy and Bradshaw, Dee (2018). Arsenic pathways in copper mining, sustainability issues and potential solutions. In: Life-of-Mine Conference 2018: Conference Proceedings. Life of Mine 2018, Brisbane, Australia, (60-63). 25-27 July 2018. Akesseh, Raphael, Shaygan, Mandana, Usher, Brent, Edraki, Mansour and Baumgartl, Thomas (2018). Wetting and drying cycles as a means to determine the effect and consequences of tailings ageing. In: Life of Mine Conference 2018. Life of Mine Conference 2018, Brisbane, QLD, Australia, (24-27). 25 - 27 July 2018. Golev, Artem, Manlapig, Emmanuel, Corder, Glen, Jones, Jason, Mandaran, Kristian, Edraki, Mansour, Hourn, Mike and Radulovic, Paul (2017). Conceptual integrated strategy for mine tailings reprocessing and land rehabilitation. In: Doina Priscu, enviromine-srmining 2017: Proceedings of the Fifth International Seminar on Environmental Issues in Mining and Fourth International Conference on Social Responsibility in Mining, Enviromine-Srmining 2017. Enviromine Srmining 2017, Santiago, Chile, (). 8-10 November 2017. Baumgartl, T., Shaygan, M., Edraki, M. and Richards, B. G. (2017). The impact of salinity on the calculation of evaporation from tailings. In: Proceedings 5rd International Seminar on Environmental Issues in Mining. Enviromine Srmining 2017. Enviromine Srmining 2017, Santiago, Chile, (). 8-10 November 2017. Pham, Phong, Noller, Barry, Golding, Sue and Edraki, Mansour (2016). Assessment of post-closure water types and their connectivity at a copper-gold mine in Queensland, Australia. In: Jacquez Wiertz and Doina Priscu, First International Congress on Planning for Closure of Mining Operations, Santiago, Chile, (). 20 -22 November 2016. Noller, Barry , Edraki, Mansour, Pham, Phong and Golding, Sue (2016). Assessment of post-closure water types and their connectivity at a copper-gold mine in Queensland, Australia. In: Jacquez Wiertz and Doina Priscu, Planning for Closure. First International Congress on Planning for Closure of Mining Operations, Santiago, Chile, (). 20-22 November 2016. Palomino, Sheyla, Edraki, Mansour, Unger, Corinne, Condorhuaman, A., Garcia, F., Ochoa, Magdie, Vasquez, Shianny and Orihuela, S. (2015). Geochemical and mineralogical characterisation of Aladino VI abandoned mine, Puno Region. In: Enviromine 2015, 4th International Seminar on Environmental Issues in Mining. International Seminar on Environmental Issues in Mining, Lima, Peru, (). 2-4 December 2015. Forsyth, Bronwen, Edraki, Mansour and Baumgartl, Thomas (2015). The evolution of tailings seepage chemistry at one of Australia’s largest and longest operating mines. In: Adrian Brown, Charles Bucknam, Joanna Burgess, Manuel Carballo, Devin Castendyk, Linda Figueroa, Lisa Kirk, Virginia McLemore, James McPhee, Mike O’Kane, Robert Seal, Jacques Wiertz, David Williams, Ward Wilson and Christian Wolkersdorfer, 10th ICARD | IMWA 2015 Conference – Agreeing on solutions for more sustainable mine water management. 10th International Conference on AcidRock Drainage and Annual IMWA Conference, Santiago, Chile, (1-11). 21-24 April 2015. Phong, Pham Hoang, Noller, Barry, Golding, Sue and Edraki, Mansour (2014). Integration of water chemistry and acidity components: a new AMD assessment model. In: H. Miller and L. Preuss, 8th AMD: Proceedings of the Eighth Australian Workshop on Acid and Metalliferous Drainage. AMD14: The Triennial 8th Australian Workshop on Acid and Metalliferous Drainage, Adelaide, SA, Australia, (411-422). 29 April – 2 May, 2014. Unger, C. J., Lechner, A. M., Walton, A., Glenn, V., Edraki, M. and Mulligan, D. R. (2014). Maturity of jurisdictional abandoned mine programs in Australia based on web-accessible information. In: Life-of-Mine 2014: Delivering sustainable legacies through integrated life-of-mine planning. Life-of-Mine 2014, Brisbane, QLD, Australia, (467-482). 16-18 July 2014. Gonzales, C., Baumgartl, T., Edraki, M. and Soliman, A. (2014). Mine wastes as cover materials in a water-shedding soil cover in North-west Queensland. In: Life-of-Mine 2014: Delivering sustainable legacies through integrated life-of-mine planning. Life-of-Mine 2014, Brisbane, QLD, Australia, (261-270). 16-18 July 2014. Huynh, Trang and Edraki, Mansour (2013). Bioavailability of arsenic in mine tailings. In: Stuart Winchester, Fernando Valenzuela and David Mulligan, enviromine2013: 3rd International Seminar on Environmental Issues in Mining. Proceedings. enviromine2013: 3rd International Seminar on Environmental Issues in Mining, Santiago, Chile, (213-221). 4-6 December, 2013. Forsyth, Bronwen, Edraki, Mansour, Baumgartl, Thomas and Lassabaterre, Laurent (2013). Contaminant release from sulfidic mine tailings: column experiments and geochemical modelling. In: Stuart Winchester, Fernando Valenzuela and David Mulligan, enviromine2013: 3rd International Seminar on Environmental Issues in Mining. Proceedings. enviromine2013: 3rd International Seminar on Environmental Issues in Mining, Santiago, Chile, (401-409). 4-6 December, 2013. Phong, Pham H., Mansour, Edraki, Barry, Noller and Suzanne, Golding (2012). Fingerprinting acid mine drainage in wet-dry tropical climates using stable isotope approach: an example from Queensland, Australia. In: W. A. Price, C. Hogan and G. Tremblay, Proceedings of the 9th International Conference on Acid Rock Drainage. 9th International Conference on Acid Rock Drainage, Ottawa, ON, Canada, (). 20-26 May 2012. Edraki, M., Forsyth, B., Baumgartl, T. and Bradshaw, D. (2012). Geochemistry of tailings and seepage from three tailings storage facilities in Australia - Uncapped, capped and active tailings. In: Life-of-Mine 2012: Conference Proceedings. Life of Mine Conference (AusIMM), Brisbane, QLD, Australia, (269-277). 10-12 July 2012. Unger, C., Lechner, A. M., Glenn, V., Edraki, M. and Mulligan, D. (2012). Mapping and prioritising rehabilitation of abandoned mines in Australia. In: Life-of-Mine Conference 2012: Conference Proceedings. Life of Mine Conference (AusIMM), Brisbane, Australia, (259-266). 10-12 July 2012. Zheng, J., Edraki, M., Huynh, T., Gasparon, M., Ng, J., Harris, H. H., Mormon, S., Plumlee, G. S. and Noller, B. N (2012). The role of inhalation pathway in human health risk assessment of lead from mining activities at a semi-arid location. In: 1st International Conference on Contaminated Land, Ecological Assessment and Remediation (CLEAR 2012), Hangzhou, Zhejiang, China, (). 4-8 November 2012. Rusdinar, Yuni, Edraki, Mansour, Baumgartl, Thomas and Mulligan, David (2011). A hydrogeochemical review of riverine mine tailings deposition at Freeport Indonesia. In: Mario Sanchez, David Mulligan and Jacques Wiertz, Proceedings of the 2nd International Seminar on Environmental Issues in the Mining Industry. Enviromine 2011, 2nd International Seminar on Environmental Issues in the Mining Industry, Santiago, Chile, (1-8). 23-25 November 2011. Zheng, Jiajia, Edraki, Mansour, Huynh, Trang, Gasparon, Massimo, Ng, Jack, Harris, Hugh H. and Noller, Barry (2011). Comparison of bioaccessibility using PBET and x-ray absorption techniques for risk assessment of selected lead containing materials. In: GSA Annual Meeting and Exposition (GSA11, 2011), Minneapolis, MN, U.S.A., (). 9-12 October 2011. Parbhakar-Fox, Anita, Edraki, Mansour, Bradshaw, Dee and Walters, Steve (2011). Development of a textural acid rock drainage index for classifying acid formation. In: Maarten A.T.M. Broekmans, 10th lCAM Proceedings. 10th International Congress for Applied Mineralogy, Trondheim, Norway, (513-521). 1-5 August 2011. Lechner A M, Unger C J, Edraki M, Fletcher A and Mulligan D (2011). Development of national abandoned mines inventory for risk modelling. In: Acid Mine Drainage Workshop, Darwin, (). June 2011. Mollehuara Canales, Raul, Edraki, Mansour and Franks, Daniel M. (2011). Environmental and social geology approach for sustainable development of porphyry copper deposits. In: Mario Sanchez, David Mulligan and Jacques Wiertz, Proceedings of the 2nd International Seminar on Environmental Issues in the Mining Industry. Enviromine 2011 - 2nd International Seminar on Environmental Issues in the Mining Industry, Santiago, Chile, (). 23-25 November 2011. Edraki, Mansour, Noller, Barry N., Huynh, Trang and Haymont, R. (2011). The formation, fate and effects of 'FLOC' from acid mine drainage on stream waters. In: L. C. Bell and B. Braddock, Proceedings of the 7th Australian Workshop on Acid and Metalliferous Drainage (AMD). 7th Australian Workshop on Acid and Metalliferous Drainage (AMD), Darwin, NT, Australia, (283-292). 21-24 June 2011. Forsyth, B., Edraki, M. and Baumgartl, T. (2011). Understanding the long-term seepage chemistry of base metal mine tailings in a semi-arid tropical climate, Mount Isa, Australia. In: Proceedings of the 7th Australian Workshop on Acid and Metalliferous Drainage (AMD). 7th Australian Workshop on Acid and Metalliferous Drainage (AMD), Darwin, Australia, (105-116). 21-24 June 2011. Phong, Pham, Mansour, Edraki and Barry, Noller (2010). Relationship of soluble major ions in creek water to redox process of iron from sandstone. In: Pacifichem 2010 International Chemical Congress of Pacific Basin Societies, Honolulu, Hawaii, USA, (). 15-20 December 2010. Zheng, Jiajia, Edraki, Mansour, Huynh, Trang, Gasparon, Massimo, Ng, Jack C., Harris, Hugh H . and Noller, Barry N. (2010). Study on heavy metals via ambient air particulates pathway: An example from a historical mining and mineral processing site. In: Online Pacifichem 2010 Technical Program. Pacifichem 2010: International Chemical Congress of Pacific Basin Societies, Honolulu, Hawaii, USA, (204-204). 15 - 20 December 2010. Pham, Hoang P., Edraki, Mansour and Noller, Barry (2010). The nature and oxidation kinetics of iron precipitates in seepage from sandstone to an incised stream. In: Jacques Wiertz, WIM 2010: Proceedings of the 2nd International Congress on Water Management in the Mining Industry. Water in Mining - 2nd International Congress on Water Management in the Mining Industry (WIM 2010), Santiago, Chile, (259-266). 9-11 June 2010. Edraki, Mansour, Anita, Parbhakar, Hardie, Kathleen, Hall, Tania and Kadletz, Oscar (2009). Characterization of acid mine drainage and baseline geochemistry of the Croydon mine environment, North Queensland, Australia. In: Securing The Future: Mining, Metals and the Environment in a Sustainable Society, and 8thICARD: International Conference on Acid Rock Drainage. Conference Proceedings. Securing The Future 2009: Mining, Metals and the Environment in a Sustainable Society, and 8thICARD: International Conference on Acid Rock Drainage, Skellefteå, Sweden, (1-12). 23-26 June 2009. Anita Parbhakar, Edraki, Mansour, Bradshaw, Dee J. and Walters, Stephen (2009). Development of mineralogical characterisation techniques for predicting Acid Rock Drainage: a case study from an abandoned Au-mine, North Australia. In: 8th International Conference on Acid Rock Drainage (ICARD) and Securing the Future: Mining, Metals and the Environment in a Sustainable Society 2009. Securing the Future and 8th International Conference on Acid Rock, Skelleftea, Sweden, (1-12). 23 - 26 June 2009. Parbhakar, Anita, Edraki, Mansour and Walters, Steve (2009). Developments in acid rock drainage prediction: a case study on the abandoned Croydon Au-mines, QLD, Australia. In: P. J. Williams, Proceedings 10th Biennial meeting of the Society for Geology Applied to Mineral Deposits (SGA). 10th Biennial meeting of the Society for Geology Applied to Mineral Deposits (SGA 2009), Townsville, Australia, (774-776). 17-20 August 2009. Edraki, Mansour, Baumgartl, Thomas, Fletcher, Andrew T., Mulligan, David R., Fegan, Warwick and Munawar, Ali (2009). Hydrogeochemical evolution of an uncapped gold tailings storage facility. In: Jacques Wiertz and Chris Moran, enviromine2009: Proceedings of the First International Seminar on Environmental Issues in the Mining Industry. Enviromine 2009: First International Seminar on Environmental Issues in the Mining Industry, Santiago, Chile, (). 30 September - 2 October 2009. Parbhakar, Anita, Edraki, Mansour, Bradshaw, Dee and Walters, Stephen (2009). Mineralogical characterisation techniques for predicting acid rock drainage. In: Jacques Wiertz and Chris Moran, enviromine2009: Proceedings of the First International Seminar on Environmental Issues in the Mining Industry. Enviromine 2009: First International Seminar on Environmental Issues in the Mining Industry, Santiago, Chile, (). 30 September-2 October 2009. Fletcher, Andrew T., Baumgartl, Thomas, Edraki, Mansour, Kirchner, Rachel, Mulligan, David R. and Dunstan, N. (2009). Rehabilitation Options for Soils Affected by Oilfield Brine in an Arid Landscape, Proceedings of the First International Seminar on Environmental Issues in the Mining Industry, Enviromine 2009. In: Wiertz, Jacques, Moran, Chris and Cherepanova, Olga, Proceedings of the First International Seminar on Environmental Issues in the Mining Industry. Environmine 2009, Santiago, Chile, (x-x). 30 September – 2 October 2009. Edraki, M. and Noller, B.N. (2008). Assessing post-closure metal dispersion from sulphide mines in the tropical climate of North Australia - A case study. In: A. Fourie, M. Tibbett, I. Weiersbye and P. Dye, Third International Seminar on Mine Closure. Mine Closure 2008, Johannesburg, South Africa, (663-671). 15 - 17 October 2008. Napier-Munn, T. J., Parbhakar, A., Edraki, M. and Bradshaw, D. (2008). Managing ARD potential through mine planning and mineral processing practice. In: L. C. Bell, B. M. D. Barrie, R. W. McLean and B. Braddock, Proceedings of the Sixth Australian Workshop on Acid and Metalliferous Drainage. Sixth Australian Workshop on Acid and Metalliferous Drainage, Burnie, Tasmania, (351-376). 15-18 April 2008. McIlveen, Graeme, Mulligan, David R., Baumgartl, Thomas, Edraki, Mansour, Pudmenzky, Alexander and Rossato, Laurence (2008). Mine closure to relinquishment: The development of partnerships and management tools to support the process. In: A. Fourie, M. Tibbett, I. Weiersbye and P. Dye, Third International Seminar on Mine Closure. Mine Closure 2008, Johannesburg, South Africa, (207-214). 14 - 17 October 2008. Edraki, M., Baumgartl, T. and Noller, B. (2007). Developing a quantitative framework to assess the success of mine site rehabilitation. In: Fourie, A., Tibbett, M. and Wiertz, J., Mine Closure 2007. Mine Closure 2007, Santiago, Chile, (821-828). 16-19 October 2007. Forsyth, B., Edraki, M. and Baumgartl, T. (2006). An assessment of the leaching behaviour of coal combustion by-products and biosolids for long-term ash dam management. In: Proceedings of the 2006 Environment Institute of Australia and New Zealand Conference. Environment Institute of Australia and New Zealand Conference, Adelaide, Australia, (343-352). 17-20 September, 2006. Edraki, M., Baumgartl, T. and Haymont, R. (2006). Investigating the linkage between water fluxes, geochemistry and water quality in the post-closure landscape of the Mt Leyshon mine, Queensland. In: Andy Fourie and Mark Tibbett, Proceedings of the First International Seminar on Mine Closure. Mine Closure 2006, Perth, WA, (647-656). 13-15 September 2006. Edraki, M., Baumgartl, T., Mulligan, D. R. and Haymont, R. (2006). Post closure management of the Mt Leyshon gold mine: Water the integrator. In: Water in Mining 2006. Water in Mining 2006, Brisbane, Queensland, (233-242). 14-16 November 2006. Edraki, M., Golding, S. D., Baublys, K. A. and Lawrence, M. G. (2003). Geochemical constraints on the evolution of acid drainage from the Mt Morgan gold-copper mine, Central Queensland. In: B.D. Batts and J.E. Batts, 5th International Symposium on Applied Isotope Geochemistry. 5th International Symposium on Applied Isotope Geochemistry, Heron Island, Queensland, (177-178). 26-30 May 2003. Edraki, M. and Golding, S. D. (2003). Stable isotope geochemistry of acid mine drainage - implications in the assessment of contaminant sources at the Mt Morgan minesite and the Dee River catchment. In: T. Farrell and G. Taylor, 6th International Conference on Acid Rock Drainage. Acid rock drainage, application and sustainability of technols, Cairns, (1015-1018). 14-17 July 2003. Edraki, M., Golding, S. D. and Baublys, K. A. (2002). Application of stable isotopes in the investigtion of acid mine drainage. In: The 9th Canadian Continuous-Flow Isotope Ratio Mass Spectrometry Workshop. 9th Canadian Continuous-flow Isotope Ratio Mass Spectrometry, Memorial University of Newfoundland, St John's, (3.2-3.3). 25 - 28 August 2002. Assessment of the potential for direct revegetation of co-disposed washery wastes, Burton Coal Mine. Stage 1 Risk characterisation. Assessment of post-rehabilitation surface water quality at Woodcutters Mine, Northern Territory. Definition of Rehabilitation Strategies for Fly Ash at the Swanbank Power Station: Investigation long-term hydrological and geochemical behaviour of ash. Application of stable isotope techniques to the investigation of acid mine drainage.